The law has limits. He does not. From The New York Times bestselling author Lee Child comes one of the most compelling heroes to step from novel to screen - ex-military investigator Jack Reacher (Tom Cruise). When a gunman takes five lives with six shots, all evidence points to the suspect in custody. On interrogation, the suspect offers up a single note: “Get Jack Reacher!” So begins an extraordinary chase for the truth, pitting Jack Reacher against an unexpected enemy, with a skill for violence and a secret to keep and a target on Reacher’s back. $15.600 million on 3352 screens. 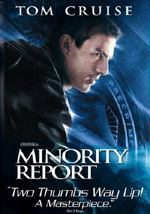 Does Tom Cruise deserve to maintain a reputation as an “A”-list box office draw? That’s hard to say. On one hand, it’s barely been a year since he starred in Mission: Impossible – Ghost Protocol, one of the highest-grossing movies of his career. On the other, it seems like an exception to a new rule, as the two prior flicks in which Cruise starred – 2010’s Knight and Day and 2008’s Valkyrie - underperformed financially in the US. 2012 started poorly for Cruise, as the big screen adaptation of Rock of Ages completely bombed. With a US gross of $80 million – and another $136 million overseas – late 2012’s Jack Reacher did better, but it still didn’t seem like a true hit. Maybe 2013’s Oblivion - just open as I write – will give us a better feel for Cruise’s current place in the Hollywood firmament. 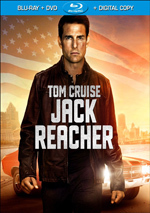 With okay but lackluster sales, Reacher leaves him in limbo. After a shooter murders five civilians in Pittsburgh, police quickly pin the crime on James Barr (Joseph Sikora), a former military sniper. Barr does little to protest this and makes one simple written request: “Get Jack Reacher”. As it happens, Reacher (Cruise) sees a news report and heads to Pittsburgh before anyone finds him. Along with defense attorney Helen Rodin (Rosamund Pike), Reacher investigates the crime and Barr’s potential place in it, all of which opens up a dangerous conspiracy. Fans of the Reacher series reacted poorly to Cruise’s casting as the lead. Indeed, you might have to go back to 1994 and Cruise’s presence in Interview with the Vampire to find similar outrage over the choice of an actor. And based on the novels, I find it hard to fault fan outrage here. As described by Child, Reacher is supposed to be six-foot-five, close to 250 pounds of muscle, and blond. Cruise is in great shape, but otherwise he doesn’t remotely compare to the character’s physical attributes. Should this apparent miscasting disqualify the movie from consideration as a piece of entertainment? I don’t think so. Films don’t have to be literal interpretations of the printed page; I think as long as they bear a decent resemblance to the source and work in their own right, they achieve their goals. In that regard, I view Reacher as a success. Is it a great film? No, and it comes with flaws beyond the supposed miscasting of Cruise. Pacing turns into an issue, for one. I think the movie’s first half works quite well, as it draws us into the mystery and spells out its characters in an intriguing manner. Unfortunately, Reacher becomes less satisfying in its second half – not unsatisfying, mind you, just less. The movie tends to seem less inventive/clever and more predictable as it goes. While it still keeps us with it, Reacher loses some steam. Still, even with these issues, Reacher works pretty well. It comes with a solid cast; in addition to Cruise and Pike, we find talents like David Oyewolo, Richard Jenkins and Robert Duvall. Heck, even noted director Werner Herzog turns up in a small but crucial part. All do fine and add credibility to the project. As for Cruise himself, I think he acquits himself well as the lead. While I realize he may not resemble the printed page’s Reacher, he fits the movie and creates a convincing personality. Economical with words and reluctant to get in a fight, Cruise’s Reacher is a believable protagonist. At no point does Reacher turn into a great film, but it does more than enough to enter “pretty good” territory. It might sag on occasion but it still entertains during most of its running time to become a satisfying combination of action and mystery. Jack Reacher appears in an aspect ratio of approximately 2.40:1 on this Blu-Ray Disc. As expected from a recent major motion picture, the image of Reacher satisfied. Sharpness worked well, as virtually no softness materialized here. At all times, the movie remained tight and concise. I saw no signs of jaggies or moiré effects, and the film lacked edge haloes or printflaws. If you suspected Reacher would come with the modern standard teal and orange palette, you’ll get what you expected, though not to an extreme. While the flick went with those overtones, they didn’t overwhelm; indeed, the orange bordered on amber. I’d like to see action flicks dispense with those conceits, but given their restraints, they looked fine here. Blacks came across nicely. Dark tones were deep and rich, without any muddiness or problems. In addition, low-light shots gave us smooth, clear visuals. All in all, this became a pleasing presentation. I also felt happy with the solid DTS-HD MA 7.1 soundtrack of Reacher. Despite the movie’s billing as an action movie, it didn’t come with a ton of chances for auditory theatrics. The sniper sequence at the start used the speakers to recreate the setting, and a climactic battle also opened up the environment in a dynamic way. A few other scenes kicked into higher gear, too, but much of the film stayed fairly atmospheric. That was fine, as we got good stereo music and a nice sense of place. The various elements combined in a compelling manner to form a strong soundscape. Audio quality was also positive. Music sounded lively and full, while effects delivered accurate material. Those elements showed nice clarity and kick, with tight low-end. Speech was always distinctive and concise, too. This mix worked well for the film. While not packed with extras, the Blu-ray includes a decent selection of materials, and we find two separate audio commentaries. For the first, we hear from screenriter/director Chris McQuarrie and actor Tom Cruise, both of whom sit together for this running, screen-specific piece. They discuss the source novel and its adaptation, other story/character topics, cast and performances, sets and locations, stunts and action, cinematography, music and editing. Despite occasional “lovefest moments”, the commentary covers the film well. McQuarrie does most of the heavy lifting and gives us a nice overview of various decisions, and Cruise throws in his perspective in a positive manner. Though not quite a great track, this becomes a useful discussion. For the second track, we get a running, screen-specific piece with composer Joe Kraemer. This mixes Kraemer's commentary with isolated score; though he occasionally speaks over the music, it usually stands on its own. We still get plenty of discussion, though, as Kraemer talks about his work as well as influences and collaborating with McQuarrie. Kraemer delivers a lot of insights into the scoring process and makes this a valuable piece. Three featurettes ensue. When the Man Comes Around goes for 26 minutes, 49 seconds and delivers notes from Cruise, McQuarrie, producer Don Granger, author Lee Child, and actors Rosamund Pike, Richard Jenkins, David Oyelowo, Werner Herzog, and Robert Duvall. We get details about the novel’s path to the screen and its adaptation, casting, characters and performances, screenplay/story elements, sets, and a few other topics, “Comes” covers good ground in an engaging way. I’m especially happy to hear the participants address the controversies related to Cruise’s casting. You Do Not Mess With Jack Reacher: Combat and Weapons fills 10 minutes, 27 seconds with info from Granger, McQuarrie, Cruise, 2nd unit director/stunt coordinator Paul Jennings and assistant stunt coordinator Robert Alonzo. As expected, this one looks at stunts, action and related elements. Like “Comes”, it goes through its issues in a tight enough manner and gives us some useful details. Finally, the 11-minute, 10-second The Reacher Phenomenon features Child on his own. The author discusses his lead character, aspects of the novels and connected subjects. Child provides an engaging presence as he delivers a positive overview of his creation. A second disc provides a DVD copy of Reacher. Beyond some previews, it lacks any extras. While it may have disappointed fans of the book series, I thought Jack Reacher provided a mostly satisfying action thriller. Despite a few sags, it still entertained and created an involving tale. The Blu-ray boasts excellent picture and audio along with a nice little set of supplements. If you can get past quibbles with the casting, Jack Reacher becomes an enjoyable effort.